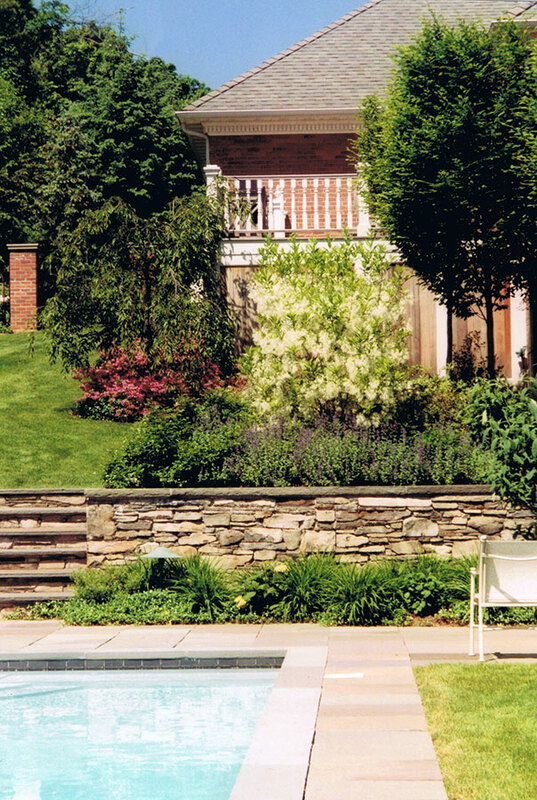 With its narrow sloping lot, this family needed outdoor spaces for relaxing and entertaining as well as play areas for the kids and dogs. 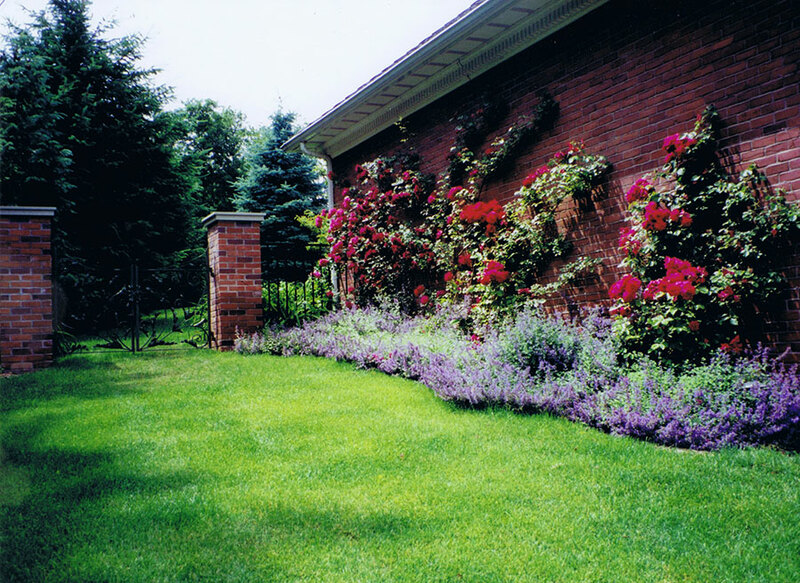 The side and rear yards were reshaped to provide upper lawn and garden areas off a kitchen deck. 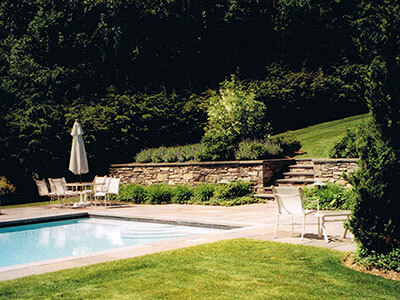 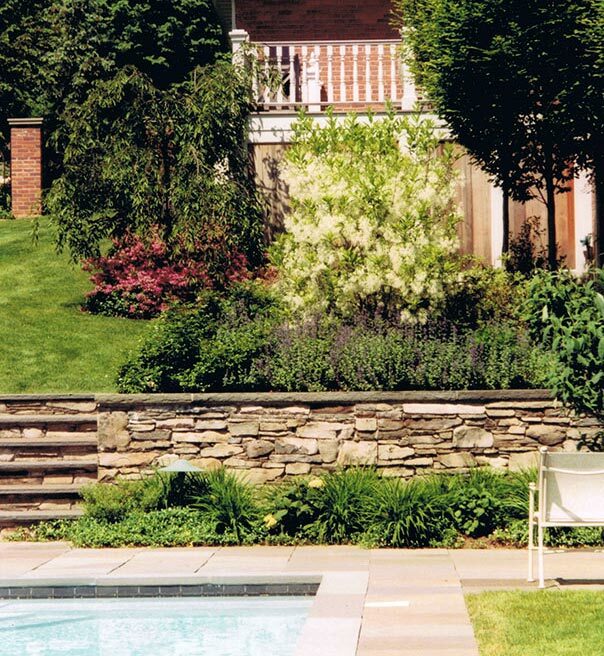 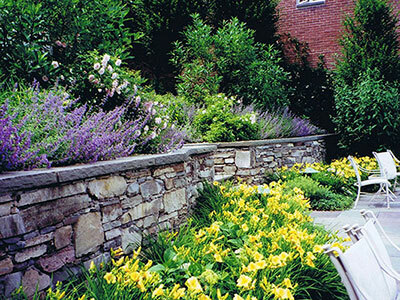 A second lower area was created with a stone retaining wall and steps. 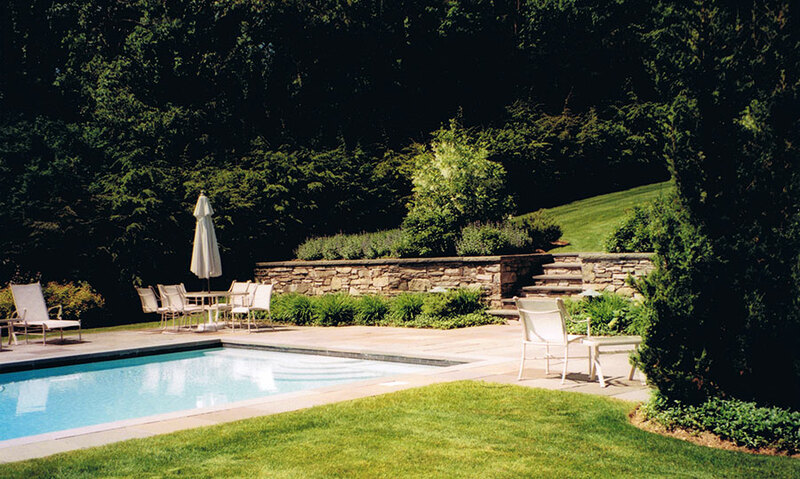 The level terrace provided for a pool with bluestone sitting and dining spaces off an interior lower level kitchen. 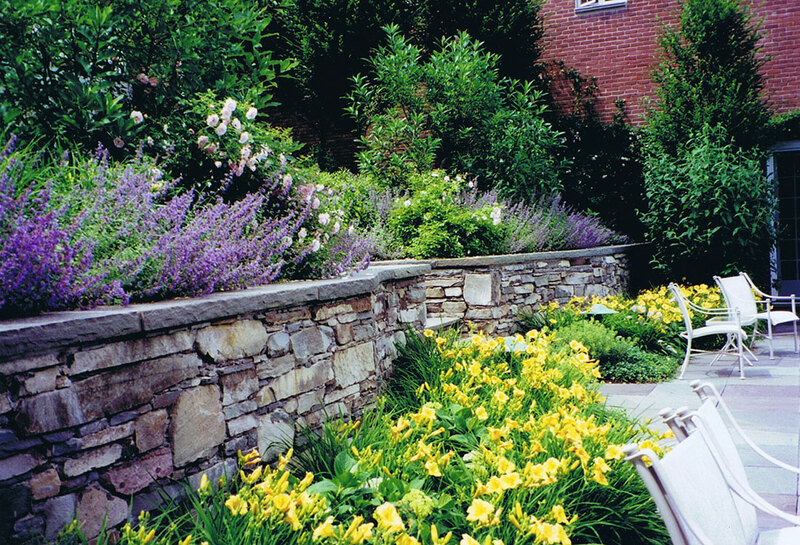 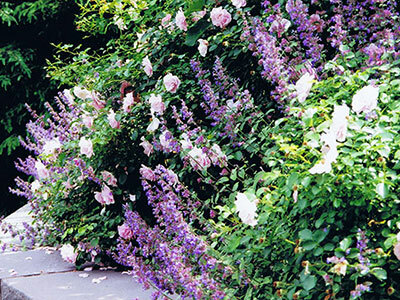 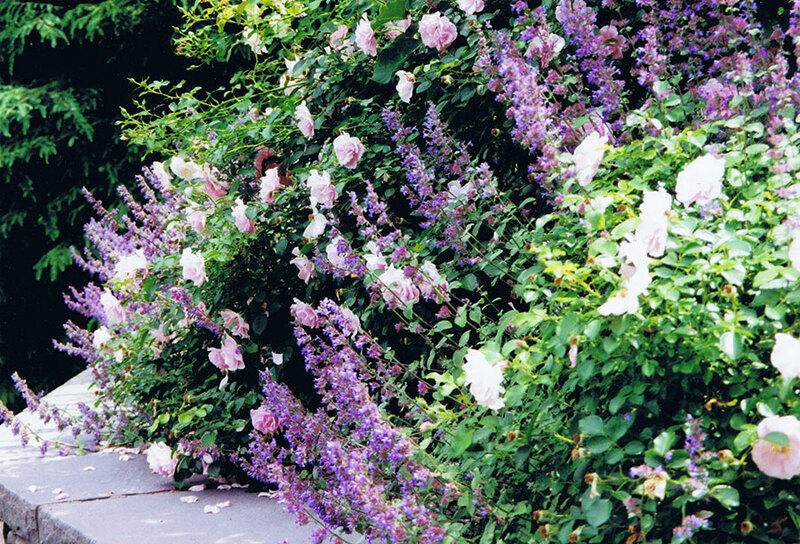 Plantings include classic garden favorites with ‘New Dawn’ and ‘Blaze’ roses, boxwood, daylilies and catmint as well as sweetly-scented native plants including summersweet and fringe trees.